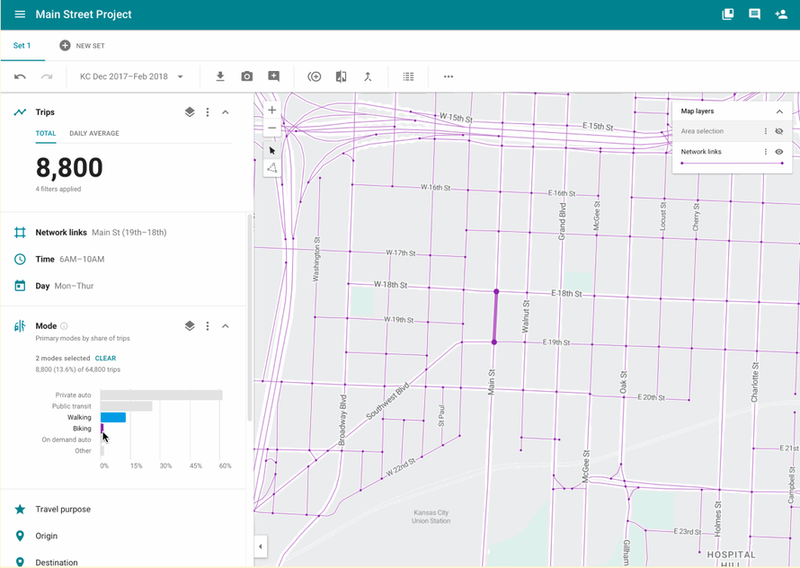 A subsidiary of Google's parent company Alphabet, Sidewalk Labs, is using real-time mobile location data from millions of cellphone users collected over long periods of time in order to help urban planners make critical decision on transportation and land use. The program, known as Replica, gathers and anonymizes cellphone user data, then models simulations which allow civil engineers see when, how and where people travel in Urban areas. "Replica provides a full set of baseline travel measures that are very difficult to gather and maintain today, including the total number of people on a highway or local street network, what mode they’re using (car, transit, bike, or foot), and their trip purpose (commuting to work, going shopping, heading to school)," wrote Nick Bowden of Sidewalk Labs last year. The problem? According to The Intercept, transportation authorities in cities adopting the technology such as Kansas City, Portland and Chicago have no clue where the data is coming from, and Sidewalk's lack of transparency has raised questions over privacy rights. "The privacy concerns are pretty extreme," said urban technology expert and author, Ben Green, in an email to The Intercept. "Mobile phone location data is extremely sensitive." While Sidewalk claims that the data they collect from unspecified third-party vendors is "de-identified" - a process by which an individual's identifying information is stripped from the dataset," location data can be used to "re-identify" a person based on their habits. "It’s obvious what home people leave and return to every night and what office they stop at every day from 9 to 5 p.m," said Tamir Israel, a staff lawyer at the Canadian Internet Policy & Public Interest Clinic. In short - while Sidewalk claims to go to great lengths to safeguard privacy because the data they use is already de-identified (using methods such as aggregation, differential privacy techniques, or outright removal of unique behaviors, according to The Intercept), their lack of transparency means we have no way to know if this is true or not. Sidewalk says they buy their data from telecommunications companies and companies which aggregate mobile location data from various apps. "We audit their practices to ensure they are complying with industry codes of conduct," said Bowden. "No Google data is used. This extensive audit process includes regular reporting, interviews, and evaluation to ensure vendors meet specified requirements around consent, opt-out, and privacy protections." "Replica is a perfect example of surveillance capitalism, profiting from information collected from and about us as we use the products that have become a part of our lives," says Brenda McPhail who heads up the Canadian Civil Liberties Association's Privacy, Technology and Surveillance Project. "We need to start asking, as a society, if we are going to continue to allow business models that are built around exploiting our information without meaningful consent."